The past decade has seen considerable progress as job growth has remained steady and communities across the state have experienced promising comebacks. The Ohio Environmental Protection Agency (OEPA) has released its Draft Program Management Plan for the Water Pollution Control Loan Fund (WPCLF) for program year 2018. The WPCLF is the main source of funding for the design and construction of publicly-owned wastewater and stormwater control projects in Ohio. The WPCLF is a “revolving” loan fund that allows repaid funds to be loaned out again to new borrowers. The plan calls for the Fund to make a total of $520 million in loans in 2018, a level below that of recent years. The US EPA provides annual funding to support states water infrastructure revolving loan funds. The subsidy allows the WPCLF to lend at below-market interest rates and to provide a limited number of projects with principal forgiveness. For example, the October 2017, standard discount rate on a twenty-year loan is 1.81%. Small communities with populations below 10,000 that also meet economic hardship criteria can receive interest rates of 1% or less. The plan reserves up to $29.9 million for principal forgiveness to address critical needs of economic hardship areas with combined sewer overflow needs or failing home sewage treatment systems. OEPA extends a zero percent interest rate to borrowers with regionalization projects that connect communities that are served by failing septic systems or wastewater treatment facilities that are otherwise incapable of meeting Clean Water Act requirements. Regionalization of smaller water systems is a crucial way to meet regulatory requirements and control costs. Greater Ohio Policy Center is working with the Ohio Water Development Authority, Ohio EPA, and other water infrastructure stakeholders in the Small Communities Environmental Infrastructure Group (SCEIG) to find ways to promote shared services and partnering among small communities. A ranked list of priority projects is published along with the plan. Interested parties can comment on the WPCLF plan at a public hearing on November 20, 2017. For more information, please see the Ohio EPA website. Providing the infrastructure for safe drinking water is one of the basic functions of local government in Ohio. Ohio has over 4,000 public water systems, ranging from large systems in major cities that serve thousands of customers, to village systems, schools, and mobile home parks that serve less than a hundred customers. By John Collier, GOPC InternThe Value of Water Campaign recently released theEconomic Impact of Investing in Water Infrastructure– a report aimed at quantifying the economic impact water infrastructure has on the US economy. The campaign brings together leading water industry experts to better understand the economic benefits associated with closing the funding gap for water infrastructure spending, as well as the potential costs of failing to do so. The US is at a tipping point when it comes to its water infrastructure. The infrastructure built in the last century, with a lifespan of 75 to 100 years, is coming to the end of its lifespan. Estimates from the American Society of Civil Engineers suggest the US will need to spend a minimum of $123 billion per year on capital improvements over the next 10 years to maintain a good state of repair. To put the scale of this infrastructure improvement into perspective, the report states that one-third of US water mains will need replaced by 2040. Current funding levels at all levels of government are not sufficient, and leave a sizeable funding gap. The report notes that aggregate capital spending across the local, state, and federal levels is only $41 billion per year, leaving an $82 billion annual funding gap. If current needs are left unmet, the report warns this funding gap will increase to $109 billion per year by the year 2026. The benefits of meeting the funding gap are bigger than simply avoiding service disruptions, and would ripple to the farthest reaches of the economy. The US stands to gain $220 billion dollars in annual economic activity and would create 1.3 million jobs nationwide over ten years, should the water infrastructure funding gap be closed. Many of these jobs that are involved in the design and construction of improved water infrastructure are well paying and are attainable with a high school diploma. Moreover, indirect effects of investing in construction would create positive indirect effects on the economy, such as the purchase of working supplies in interrelated industries. An added benefit to the investment is the $94 billion businesses would save each year due to no longer needing to fund their own water supplies. The campaign asserts that as the nation moves to assess and repair its aging infrastructure, there is need for significant federal investment. From 1977 to 2014, federal contributions have fallen from 63 percent of total spending to 9 percent of total capital spending on water infrastructure. Much of the burden has been picked up at the local level – per capita spending by local communities has risen from $45 in 1977 to upwards of $100 in 2014. Greater Ohio Policy Center (GOPC) recently releasedStrengthening Ohio’s Water Infrastructure, a report exploring the opportunities at the state level to ensure long-term financial stability of Ohio’s water infrastructure. The use of asset-management, regionalization, and private-public partnerships may be the key for the financial stability of Ohio’s water systems and adequately funding capital improvements. Affordability is becoming more of a strain for some communities as user charges continue to increase in parallel with national trends. Modernizing the water system for the 21st century remains one of GOPC’s main policy objectives. 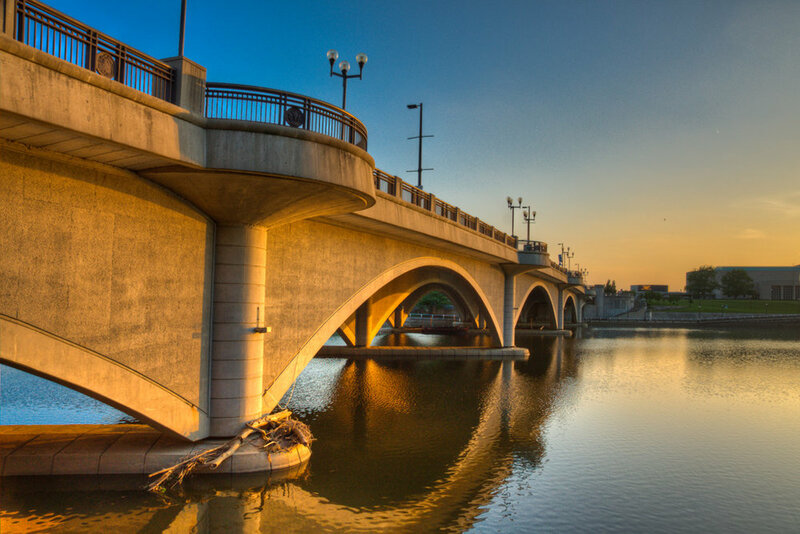 GOPC is in the midst of a multi-year project on Ohio’s water and sewer infrastructure – and is currently identifying the best practices from around the nation.